Neurological research has shown that the first five years of a child’s life are the most crucial for brain development. During this window, young minds are incredibly receptive to cognitive and sensory stimulation. Thus, exposing children to enriched curriculums such as the programmes at Heguru helps to nurture fine motor development, visual and spatial awareness, and even develop strong pre-math, literacy and language skills. All parents know the importance of providing their little one with quality early childhood education. Beyond adequately preparing the child for the rigours of primary school, attending preschool helps develop intellectual, emotional, physical and social capabilities, laying firm foundations for lifelong learning and academic success. Naturally, this starts from selecting the right preschool and curriculum for your child. For parents who are looking for holistic brain-development programmes that will enhance their little one’s fundamental learning abilities, look no further than Heguru Singapore. Experts in right brain stimulation and whole brain development, Heguru’s programmes were developed in Japan after over thirty years of extensive studies and practicum by Mr Hirotada Henmi and Mrs Ruiko Henmi. Each Heguru (HEGL) educational programme aims to strengthen children’s brain functions to realise children’s untapped potential. This is carried out through specially designed activities such as numeracy, mental association, speed, language and other brain function boosting exercises. Why left- and right-brain training? In a nutshell, the left and right brain hemispheres functions rather differently. The Left takes charge of logic, rationalisation and linguistics, and it processes information in a slow, “step-by-step” manner. Conversely, the Right is responsible for creativity and memory, and enables us to absorb a large amount of info at high speeds. By engaging and developing both hemispheres, children are able to develop strong learning abilities to gain a head start in their educational journey. At Heguru Singapore, classes are spread across three main stages of learning: the Infant and Toddler Course (six months to four years) Preschool I Course (four to five years), Preschool II Course (five to six years) and Primary Course (six to 12 years). Each programme caters to each phase of a child’s brain development. For example, the Infant and Toddler Course emphasises on right brain training because that’s when a baby’s right brain starts to rapidly develop. As left-brain development starts kicking in at four to six years old, the Preschool courses introduce left brain-stimulating activities to bridge and develop both sides of the brain. Catered for children aged four to five years old, the Preschool 1 class is the first time little ones attend classes on their own. Because of the training that they were exposed to at the earlier stages of development, these young minds are able to pick up, understand and even complete class activities fairly quickly. From comprehensive worksheets, fun handicrafts and fascinating storytelling sessions, each activity serves to boost children’s logic and reasoning abilities. 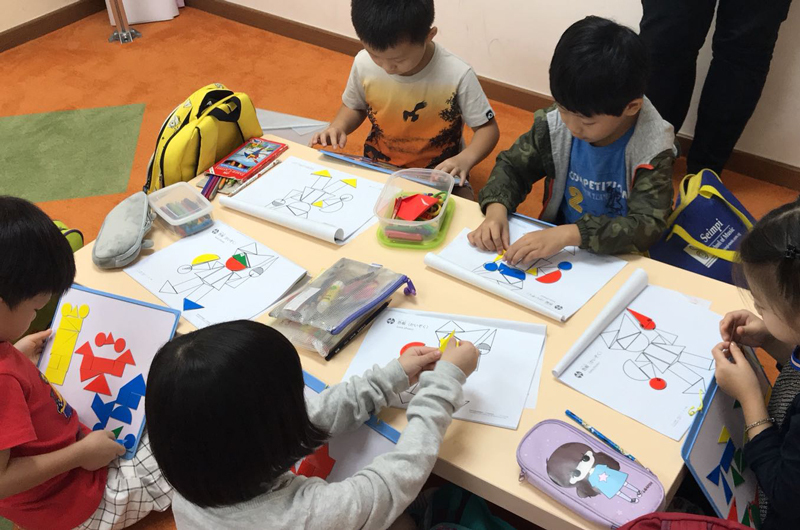 Suitable for five to six year olds, Preschool 2 prepares children for formal education with an intensive curriculum – further nurturing them to absorb, process and apply increasingly difficult information through high-speed processing activities and prepared worksheets. 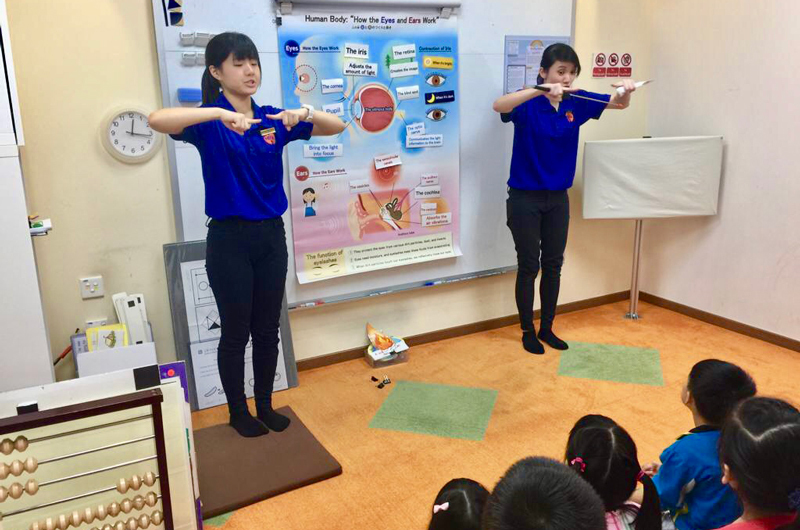 In addition, the class promotes discipline, positive learning attitudes and cooperation through interactive group activities, equipping them with a better foundation for their academic career. This post is brought to you by Heguru Singapore @ City Square Mall.